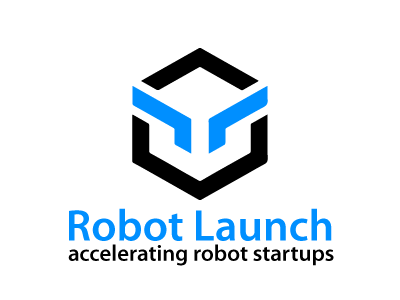 News – LET'S TALK ROBOTS! 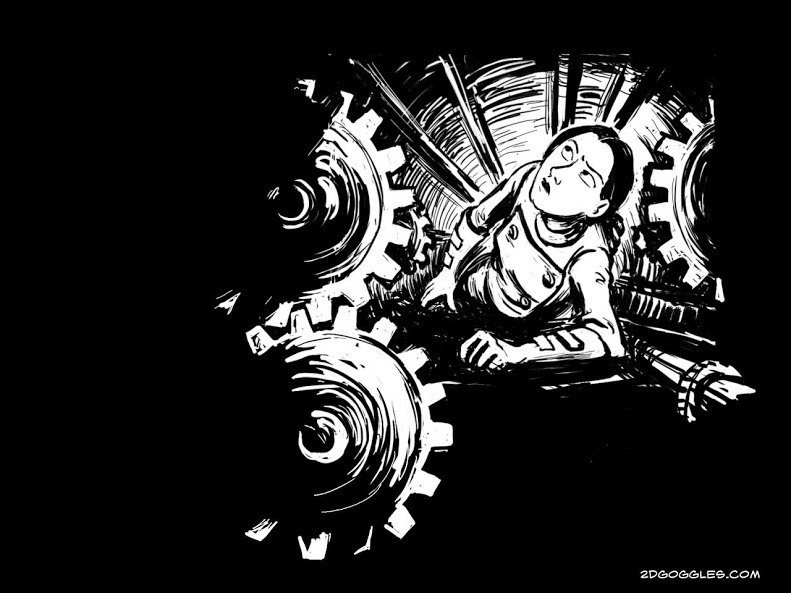 Sydney Padua’s Ada Lovelace is a continual inspiration. At #WebSummit 2017, I was part of a panel on what the future will bring in 2030 with John Vickers from Blue Abyss, Jacques Van den Broek from Randstad and Stewart Rogers from Venture Beat. John talked about how technology will allow humans to explore amazing new places. Jacques demonstrated how humans were more complex than our most sophisticated AI and thus would be an integral part of any advances. And I focused on how the current technological changes would look amplified over a 10–12 year period. What worries me is that right now we’re worried about robots taking jobs. And yet the jobs at most risk are the ones in which humans are treated most like machines. So I say, bring on the robots! 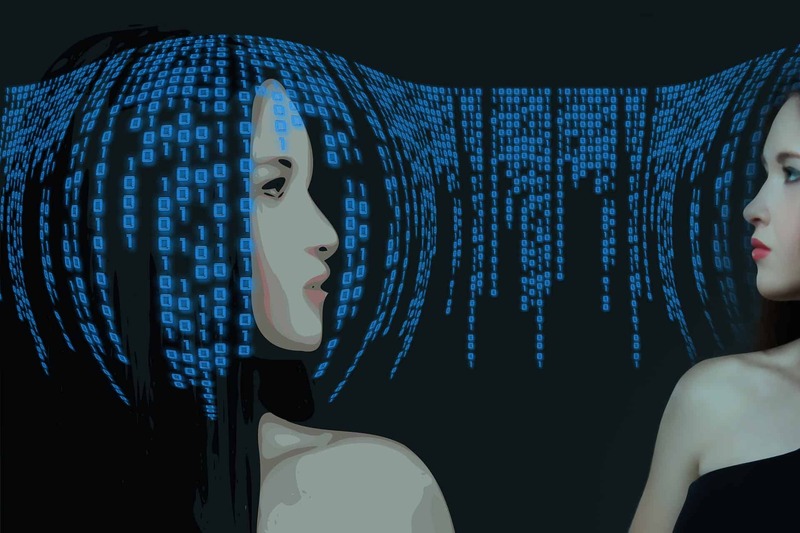 But what worries me is that the current trend towards a gig economy and micro transactions powered by AI, ubiquitous connectivity and soon blockchain, will mean that we turn individuals back into machines. Just part of a giant economic network, working in fragments of gigs not on projects or jobs. I think that this inherent ‘replaceability’ is ultimately inhumane. When people say they want jobs, they really mean they want a living wage and a rewarding occupation. So let’s give the robots the gigs. It’s morning, the house gently blends real light tones and a selection of bird song to wake me up. Then my retro ’Teasmade’ serves tea and the wall changes from sunrise to news channels and my calendar for today. I ask the house to see if my daughter’s awake and moving. And to remind her that the clothes only clean themselves if they’re in the cupboard, not on the floor. Affordable ‘Pick up’ bots are still no good at picking up clothing although they’re good at toys. In the kitchen I spend a while recalibrating the house farm. I’m enough of a geek to put the time into growing legumes and broccoli. It’s pretty automatic to grow leafy greens and berries, but larger fruits and veg are tricky. And only total hippies spend the time on home grown vat meat or meat substitutes. I’m proud of how energy neutral our lifestyle is, although humans always seem to need more electricity than we can produce. We still have our own car, which shuttles my daughter to school in remote operated semi autonomous mode where control is distributed between the car, the road network and a dedicated 5 star operator. Statistically it’s the safest form of transport, and she has the comfort of traveling in her own family vehicle. Whereas I travel in efficiency mode — getting whatever vehicle is nearby heading to my destination. I usually pick the quiet setting. I don’t mind sharing my ride with other people or drivers but I like to work or think as I travel. I work in a creative collective — we provide services and we built the collective around shared interests like historical punk rock and farming. Branding our business or building our network isn’t as important as it used to be because our business algorithms adjust our marketing strategies and bid on potential jobs faster than we could. The collective allows us to have better health and social plans than the usual gig economy. Some services, like healthcare or manufacturing still have to have a lot of infrastructure, but most information services can cowork or remote work and our biggest business expense is data subscriptions. This is the utopic future. For the poor, it doesn’t look as good. Rewind..
It’s morning. I’m on Basic Income, so to get my morning data & calendar I have to listen to 5 ads and submit 5 feedbacks. Everyone in our family has to some, but I do extra so that I get parental supervision privileges and can veto some of the kid’s surveys. We can’t afford to modify the house to generate electricity, so we can’t afford decent house farms. I try to grow things the old way, in dirt, but we don’t have automation and if I’m busy we lose produce through lack of water or bugs or something. Everyone can afford Soylent though. And if I’ve got some cash we can splurge on junk food, like burgers or pizza. My youngest still goes to a community school meetup but the older kids homeschool themselves on the public school system. It’s supposed to be a personalized AI for them but we still have to select which traditional value package we subscribed to. I’m already running late for work. I see that I have a real assortment of jobs in my queue. At least I’ll be getting out of the house driving people around for a while, but I’ve got to finish more product feedbacks while I drive and be on call for remote customer support. Plus I need to do all the paperwork for my DNA to be used on another trial or maybe a commercial product. Still, that’s how you get health care — you contribute your cells to the health system. We also go bug catching, where you scrape little pieces of lichen, or dog poo, or insects into the samplers, anything that you think might be new to the databases. One of my friends hit jackpot last year when their sample was licensed as a super new psychoactive and she got residuals. I can’t afford to go online shopping so I’ll have to go to a mall this weekend. Physical shopping is so exhausting. There are holo ads and robots everywhere spamming you for feedback and getting in your face. You might have some privacy at home but in public, everyone can eye track you, emote you and push ads. It’s on every screen and following you with friendly robots. It’s tiring having to participate all the time. Plus you have to take selfies and foodies and feedback and survey and share and emote. It used to be ok doing it with a group of friends but now that I have kids …. Robots and AI make many things better although we don’t always notice it much. But they also make it easier to optimize us and turn us into data, not people. Robotics isn’t gender neutral, it’s gender blind. And that means that there are a lot of hidden opportunities for savvy investors and entrepreneurs. One of the first robotics companies I followed was Restoration Robotics, a Silicon Valley based company that’s raised more than $111 M USD in 6 rounds. 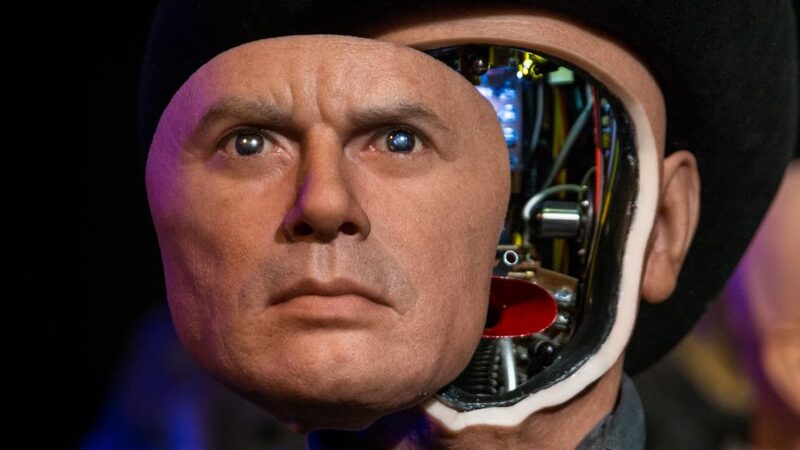 Restoration Robotics saw a niche for robotics in treating male baldness. 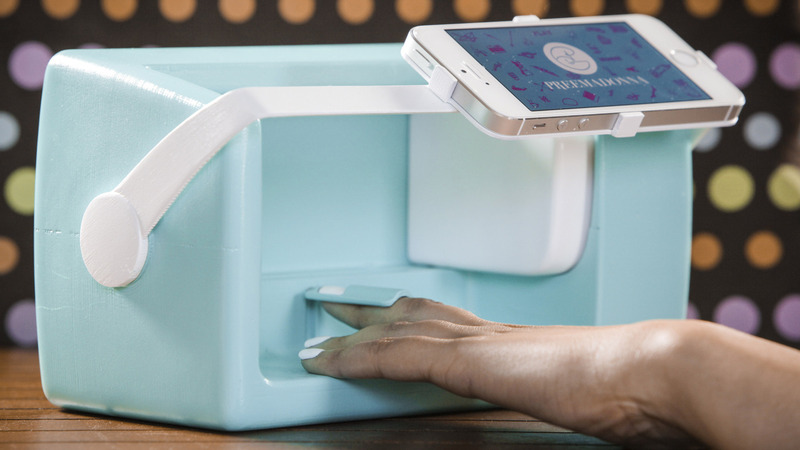 Pree Walia, CEO and founder of Preemadonna has her eyes set on a robotics/computer vision nail art solution. Preemadonna’s Nailbot was runner up in 2015 Robot Launch startup competition and went on to become a finalist on TechCrunch Disrupt. Her startup was the only one targeting female consumers. Not only does less than 7% of venture funding go to female founders [Bloomberg], but female focused products are also much less likely to get funded, even though they may be addressing a huge market. Let’s face it – the nail salon industry in the US alone has an annual turnover in excess of $8B according to Statista and that’s before including nail products and home treatments, estimated at another $8-9B, for a total market size of approx $16B. To put that in context, the entire US apple industry has an annual revenue of half that at around $4 B, with an overall downstream economic impact of $16B, according to the US Apple Association. And the US is the second largest apple producer in the world. We’ve all heard about the Maker Community and how 3D printers and digital tools can reshape the economy and why 21st century STEM education needs access to fab labs. But meanwhile, there’s been a quiet crafting revolution, which is sending ripples into many adjacent areas. Women have traded their sewing machines in for digital machines, stitchers, knitters, cutters, etchers, embroiderers, etc. Many industries, from the sign industry to textile companies are moving from professional to prosumer, even consumer and DIY. The beauty industry is following. Preemadonna was just accepted into L’Oréal and Founders Factory’s accelerator program. CEO, Pree, presented to senior executives (including L’Oréal’s CEO) at L’Oréal’s Headquarters in France late last year and became one of only five startups to win a spot in the elite program. Seems like a few robotics startups are now realizing that there are untapped markets in female facing products. The only downside is that robot solutions may start to displace women’s jobs. For example, being a nail artist is a lucrative yet low skilled job. However, there are opportunities both for female entrepreneurs ie for opening up beauty robot service salons, and for female founders and inventors, who may be first to market with new robot products and services. First it was robot vacuum cleaners, now it seems to be robot kitchen appliances, proving that robots are back in the popular imagination as household helpers. The Rotimatic is a ‘robotic’ flatbread maker from Zimplistic, who have just completed a Series B investment round of $11.5 million from NSI Ventures, based in Singapore, and RBVC, the venture arm of Robert Bosch GmBH. Not surprising, as Bosch have strong interest in consumer robotics and this is a great product for entry into Asian market. The Rotimatic can produce a freshly cooked flatbread in a minute and has capacity to make 20 at a time. Rotimatic has proven to be a very popular device, doing over $5 million in preorders at launch in 2014 and with $72 million worth of orders on current books and more than 5000 distribution requests. I’m told by people who use the device that it’s ‘almost as good as roti cooked by your mother’. Zimplistic will use the $11.5 million just raised to accelerate manufacturing rollout, fund working capital and set up operations in international markets to fulfill Rotimatic demand. The company plans to finish ongoing extended beta before scaling production. “Zimplistic is a rare combination of a project with huge revenue potential and also social impact by increasing the productivity of millions of men and women around the world who still make flatbreads by hand. We are proud to be able to support such an innovative hardware company and look forward to helping make Rotimatic a global bestseller” said Hian Goh, NSI Ventures and also founder of Asian Food Channel. “Rotimatic’s cutting edge robotic technology takes user convenience in the kitchen around a conscious, healthy nutrition to new levels. 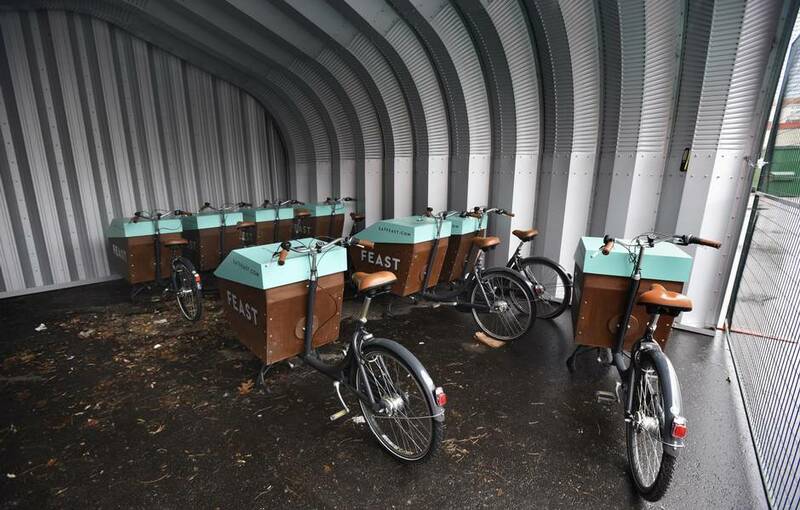 We are very impressed by the Zimplistic team and happy to support the company on its way to scale up production and enter global distribution “ added Jan Westerhues, of RBVC. Rotimatic is far from the first robotics kitchen appliance though. According to their website, SF based Momentum Machines aims to revolutionize gourmet food making from hamburgers to salads and sandwiches. Sereneti is a recent Highway 1 startup, that is taking the new breed of bowl mix/breadmakers to another level. And there’s FlatEv ‘the Keurig for tortillas’. Then there’s BrewBot for beer, and also robot baristas, coffee makers, tea makers, even a robot chai maker. The prototypes for automating food processing dates back to the 40s, if not earlier, but electric motors were expensive and large. In 1960, French company Robot-Coupe pioneered the food processor. In the 70s, the Magimix was commercialized in the USA under the brand Cuisinart. Their Robot Cook® is now on the market as ‘the first professional heating food processor’. Although many of these devices are on the very simple end of the arc of robotics and automation technologies, the fact that marketing a consumer device as a robot is proving to be a viable strategy is good indication of a bullish period for robotics. And it is essential to simplify robotics for the consumer market to achieve an affordable price point. There are three paradigms at play in the robot kitchen; the appliance improved; the completely new device; and the robot using existing appliances. The first is about building the better mousetrap and there is low hanging fruit here as component technologies improve and become more affordable. The second paradigm requires more of a paradigm shift, like breeding mice that are allergic to humans instead of trapping them when they enter our houses. 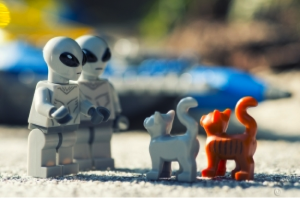 The third paradigm would augment or replace humans, by building the equivalent of a robot cat. I’m excited about automation in the kitchen reducing the work load and making it easier to provide fresh, healthy and nutritious meals for time poor families. But at the same time, we are running out of counter space, and under counter space too. At some point, we don’t need more gadgets, we need a new process. The replacement for a whole range of robot kitchen appliances might be a stove/refrigerator unit which auto orders food, autoloads it, autoprepares it and autocleans itself. Or we could turn the table into a unit that doubles as cupboard and dishwasher. So while we could replace the machines in the kitchen to save space, however the final paradigm is to add a machine that replaces a person in the kitchen. Moley Robotics wowed crowds at Hannover Messe industrial trade fair in April with their robot chef. Capturing the exact movements of British 2011 MasterChef champion, Tim Anderson, the robot chef prepared a crab bisque for the trade fair visitors. Moley Robotics was founded by computer scientist Mark Oleynik, working with hands from Shadow Robot Company. Crab bisque is only the first recipe of a thousands planned. Moley Robotics intends to launch a consumer kitchen robot system in 2017, consisting of hands, hob, stove and touchscreen. 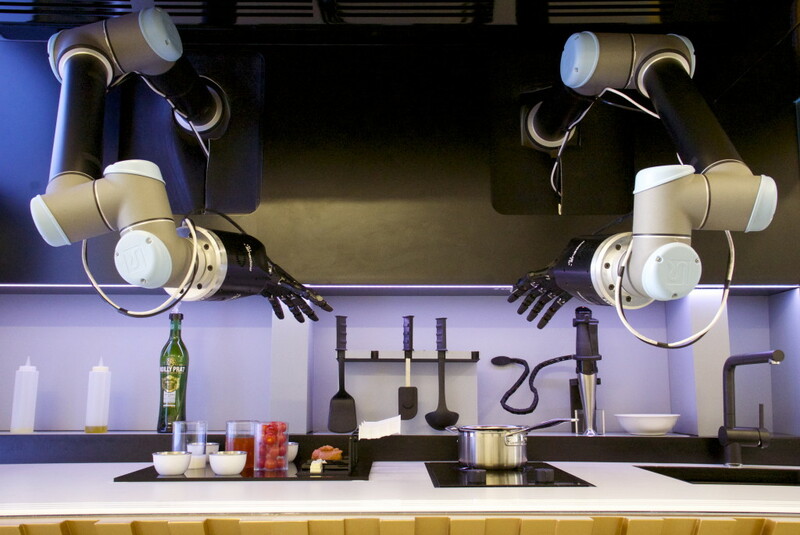 And robot chefs are useful in ways that extend beyond replacing humans in the kitchen. The kitchen is a great learning environment for robots. WAs a learning tool DARPA AND thisAt the other end of the spectrum is the RoDyMan project lead by Bruno Siciliano, which is using pizza making to demonstrate robotics skill acquisition in the area of robot gripping, ie. localisation of the object while it is moving, motion and manipulation of the object, and control of the overall robotic system. Even DARPA is funding research, at the University of Maryland, where robots learn to cook from you tube videos. The rationale being that skills acquired are relevant to a whole range of other activities. Perhaps not what you want in your kitchen yet, but who knew we might be watching the research labs for our next recipes? SoftBank, FoxConn and Alibaba have today cemented a strong robotics initiative. Having acquired a majority stake in Aldebaran in 2012, just after the Amazon acquisition of Kiva, SoftBank’s interest in robots has been cause for confusion. Do they want an ‘emotional’ humanoid robot or is their interest in Aldebaran a pathway towards a more practical robot? 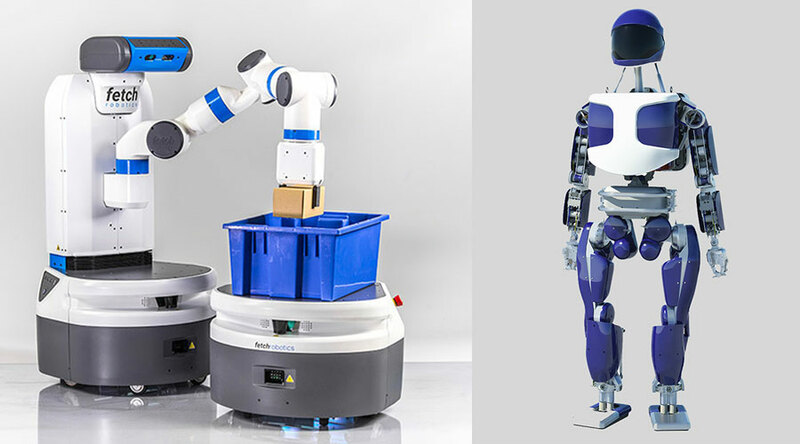 Well, it looks like SoftBank is interested in everything robotic, as they lead the $20 million A round in logistics company Fetch Robotics and announce a joint robotics production partnership with Alibaba and FoxConn. The new SoftBank Robotics Holdings Corp. (SBRH) is valued at $590 million, with Alibaba and FoxConn paying $118 million each for 20% stakes in SBRH. 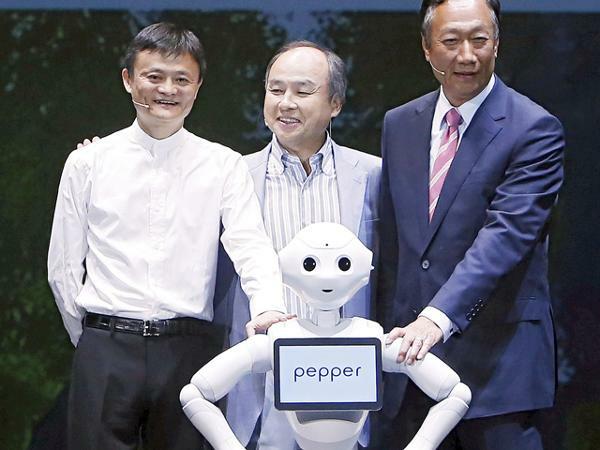 SoftBank, Alibaba and Foxconn will “build a structure to bring Pepper and other robotics businesses to global markets, and cooperate with the aim of spreading and developing the robotics industry on a worldwide scale.” said the SoftBank release. And Pepper, will finally go on sale to customers on June 20 after delays from projected availability in early 2015. Pepper will cost 198,000 yen (approx $1610) plus a monthly service fee. Pepper has already appeared in SoftBank and Nestle stores in Japan. This next step could see Pepper in your home, although SoftBank believes that the primary initial customers will be institutional. With Japan’s aging population serving as an inspiration point, SoftBank have been exploring applications for Pepper in nursing homes, for example, conversing with patients with dementia. Pepper is just the first step. 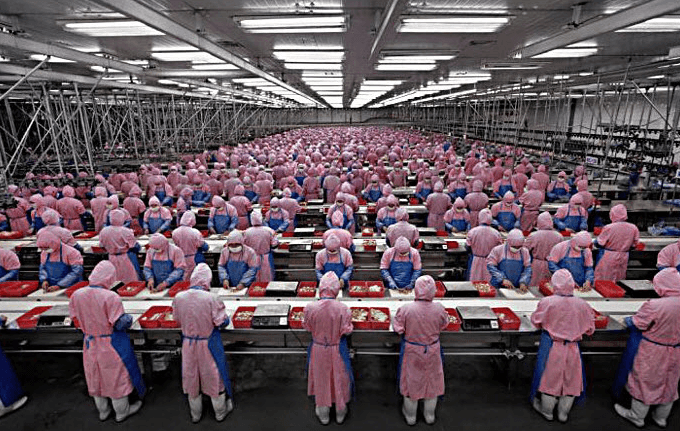 Remember Terry Gou’s famous “1 million robots in FoxConn factories by 2014” statement? When Gou made the plan in 2011, finding 1 million factory robots would have meant doubling the number of industrial robots in the world. With the world coming out of an economic slump, Gou’s plan was too ambitious at the time. However, industrial robotics has been growing rapidly ever since, and nowhere faster than in China. At the same time, the cost of robotics systems is lowering and the range of applications for industrial and now service and logistics robots is increasing. It’s clear that Gou realized that the world couldn’t build robots fast enough to meet his demand in 2011 and that the demand was only going to increase. FoxConn, Alibaba and SoftBank are the emerging dragons of robotics. Unicorns swept the tech world by storm last year after Aileen Lee, Cowboy Ventures, wrote a data-rich analysis of fast growth startups with mega valuations. Since then, some have looked a little further and found ‘dragons’ to be more rewarding. By some accounts a dragon company is one that returns 100% of fund value to a fund – or by some other accounts – a company with a real $1B not just a $1B valuation. Amazon’s acquisition of Kiva Systems for $775m in 2012 was the first shot in a campaign that is just ramping up. Google’s purchase of 8 robotics and !I companies in 2013 left many people excited, but it was the forays into robotics by Facebook, Uber and other more stealthy companies that got me excited. Unicorn or Dragon – there are a lot of young companies with bucket loads of cash and a very loose understanding of what their grown up status is. If they stay true to their startup selves, their sole mission is to grow like crazy – see Paul Graham’s seminal 2012 piece “Startup = Growth” . Investing in robotics may not be a strategy so much as a byproduct. While the globalization of robotics is good in the short term, I hope that SoftBank’s initiatives lead to more innovation in robotics and robotics businesses. Globalization will drive growth, but only up to a point. It’s what Peter Thiel describes as “1 to n”, where “n” is always finite. In his book, “Zero to One” Thiel describes the importance of the new opportunity. *updated* SoftBank today announced a $236 million investment into their robotics division by Alibaba and FoxConn for marketing and distribution, including Pepper and Fetch robots. Fetch Robotics has just announced a $20 million Series A round lead by SoftBank, on top of the earlier seed investments of $3 million from Shasta Ventures and O’Reilly Alpha Tech Ventures. Fetch is a mobile manipulator aimed at the logistics and warehouse industry. At the same time, SRI International and Sandia National Laboratory have been showing off their new humanoid robots at the DARPA Robotics Challenge (DRC) Expo. While DURUS is still a research robot, we can now see that useful humanoids have a pathway to commercialization. Fetch Robotics is the first of a group of companies commercializing mobile manipulators. So far all are on wheeled bases (because post DRC we’ve all seen how difficult it is to build successfully bipedal robots). The recent Amazon Picking Challenge showed us that there are a lot of commercial players interested in the logistics space. There were more companies in the audience, both large robotics companies, strategics and stealth startups, than there were teams competing in the challenge. After Kiva Systems, Fetch Robotics is one of the first to market, with their two robots; Fetch, a mobile manipulator, and Freight, a mobile delivery platform. Fetch’s strong Series A is a typical Silicon Valley play – go big fast. 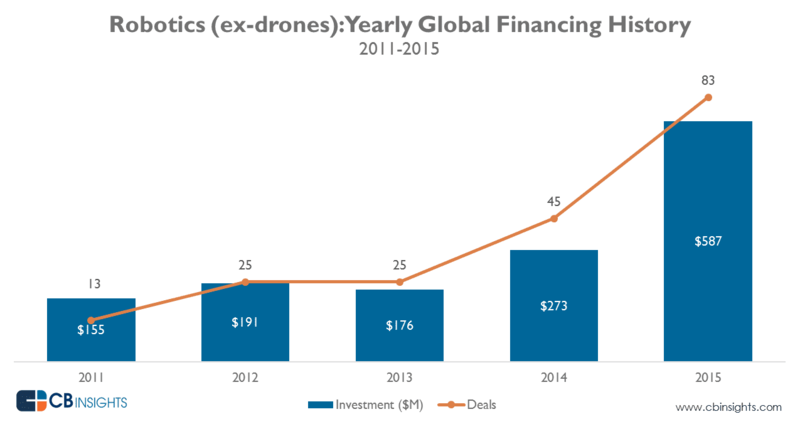 Robotics investment is following the global tech investment trends. Silicon Valley is investing more money than the rest of the world combined. Investing more money doesn’t mean that SV is investing in a greater number of deals than anywhere else though. Early investment is strong around the world, but the size of investments at every stage are bigger in Silicon Valley. 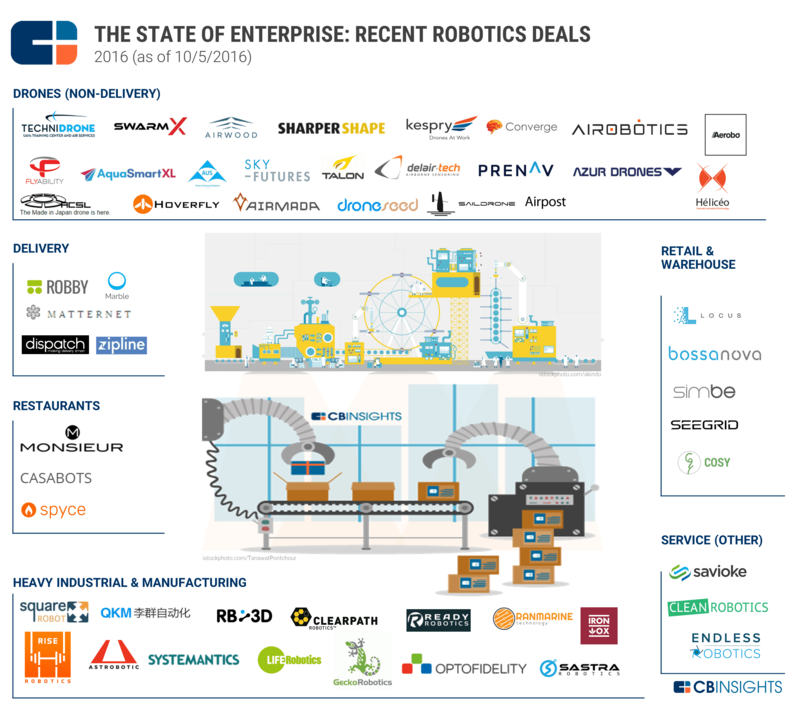 It’s a bit of a unicorn hunt but the hunt is leading into new market sectors, including hardware and robotics. An average series A round is $3 to $8 million. A $23 million seed/Series A isn’t just about producing expensive hardware, it’s about building a sales and marketing division to get robots into as many warehouses as possible. This isn’t SoftBank’s first robot company either, but Aldebaran’s humanoid robots are entertainingly social rather than functional, and are being rolled out only in a marketing role. The SoftBank/Fetch partnership seems to be far more pragmatic. Teradyne’s recent acquisition of Universal Robotics shows us that any company can become a robotics company, both as a good investment and as part of internal growth strategies. We will be seeing more investment in mobile manipulating robots, not just arms or telepresence platforms or camera drones, but drones and robots able to deliver or do something. The general purpose humanoid is on the horizon! The DRC showed us that real robots were finally leaving the lab and doing useful things in the real world in real time. 1 hour to complete 8 tasks was a high bar, and 3 teams beat the clock. But the blooper reel of robots falling over while doing the challenge demonstrate how far robots still have to go. Outside the DRC challenge at the EXPO, SRI International unveiled DURUS, a humanoid robot designed to walk more efficiently than the Atlas used in the DRC. We thought that robots running for 1 hour off batteries was a big deal, but DURUS can run for 10 x longer. DURUS is just the legs and torso though. When combined with SRI’s work on arms and manipulators, you have a whole humanoid, PROXI. Fetch Robotics showed us that the world’s most sophisticated research robot could reach commercialization in less than 10 years. The PR2 was a large humanoid manipulator on wheels developed at Willow Garage from 2006 onwards. A PR2 costs about $400,000. A Fetch is more like $40,000 and has clear commercial applications. 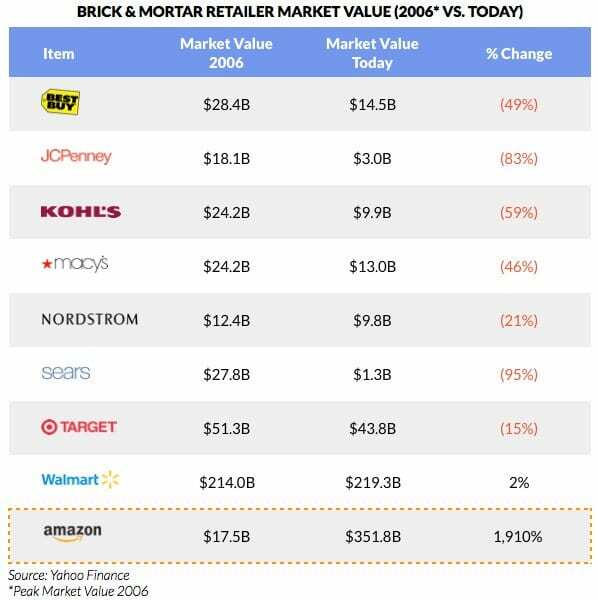 It’s an exciting time when the biggest problems for robotics will be building the business model! 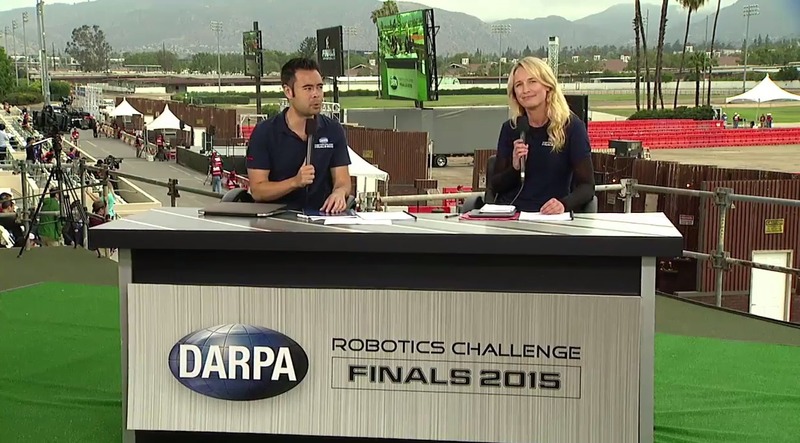 I’ve been live tweeting all the action from the DARPA Robotics Challenge Finals 2015. It’s been exciting and definitely not like watching paint dry this time. It’s amazing how far and how fast the Grand Challenge has pushed teams to perform. Just like with the DARPA driving Grand Challenge, there is now a pathway from impossible to reality. The Brookings Institute also released several other reports on robotics policy directions as part of their series on The Future of Civilian Robots, which culminated in a panel discussion. This format is similar to the NY Times Room for Debate, which brings outside experts together to discuss timely issues. However, there is a preponderance of law, governance, education and journalist experts on the panels, perhaps because these disciplines attract multidisciplinary or “meta” thinkers.